In 1984, Kyle Reese protected Sarah Connor from a terrifying cyborg that would stop at nothing to terminate her. In 1985, Skynet targets biotechnician Elise Fong, who is destined to discover a vital weapon against the Terminators! With no Kyle Reese, Fong's only hope is Farrow Greene, the ex-CIA operative tasked with kidnapping her! 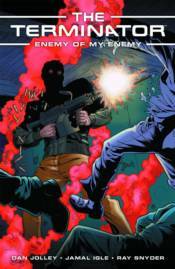 Collects issues #1-#6 of the miniseries.